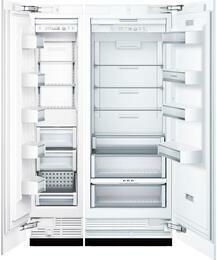 Bosch offers a great refrigeration system in a variety of sizes and styles to integrate into your kitchen design. 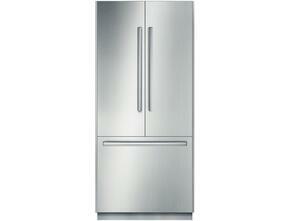 From the stylish 30" bottom freezer refrigerator, to the small, space-friendly 24"" refrigerator with bottom freezer. The refrigeration systems are equipped with LED lighting that gently brightens up the interior of the refrigerator so you're to quickly spot what you want. The door storage accommodates tall bottles and condiments for convenience. Bosch has a solution for everyone and can be a great option for any home. Bosch engineering combined with quality materials lead to innovative refrigeration features such as the hidden door hinge, premium tempered glass. Whether you choose a streamlined built-in refrigerator or a freestanding counter-depth refrigerator, Bosch refrigerators deliver a clean, integrated look in your kitchen. Total Capacity: 17.2 cu. ft.